Sounding a war cry in a major speech he will say it is time for the UK to shake off the experiences of Iraq and Afghanistan and boost the “lethality” of the Armed Forces. Britain must once again be “ready to act” and even use our “hard power” against Russia and China, he will declare. These two global powers had “blurred” the boundaries between peace and war, he adds. And in another reference to intervention against Russia he will say Britain must be prepared to take military action against countries that “flout international law”. 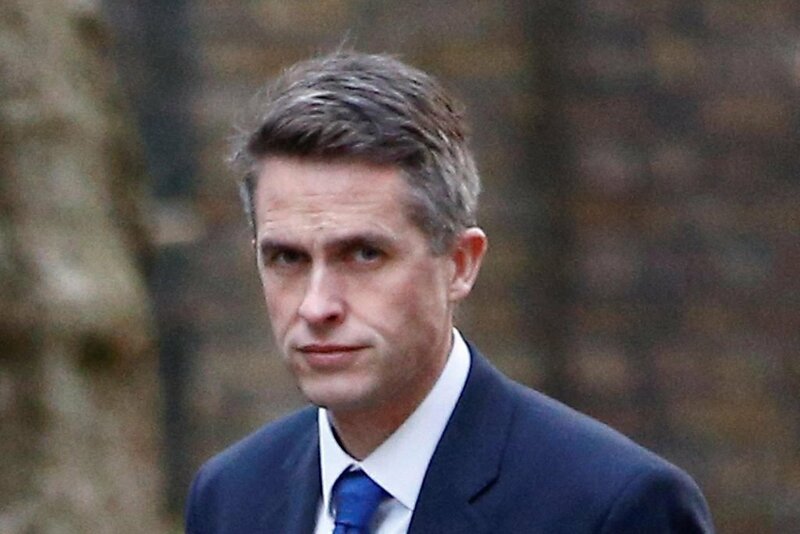 His speech to defence experts at the RUSI think tank in Whitehall will be seen as a further pitch to Chancellor Philip Hammond for extra funding of the Armed Forces ahead of the major Spending Review later this year. He will promise to use some of the £1.8 billion cash injection he secured last year on a “very significant additional investment” in Britain’s cyber capabilities. Mr Williamson will also fuel speculation of his leadership ambitions by describing Brexit as offering Britain’s Armed Forces its “greatest opportunity in 50 years”. In a pitch that will delight Tory Brexiteers, he will say: “Brexit has brought us to a great moment in our history. Issuing an unashamed defence of an interventionist foreign policy, Mr Williamson will warn that the price of inaction had often been “unacceptably high” and Western countries could no longer “walk on by when others are in need”. He will state: “We have to be ready to show the high price of aggressive behaviour. Ready to strengthen our resilience. But Labour’s Shadow Defence Secretary Nia Griffth said last night: “The Conservatives have slashed the defence budget by over £9 billion in real terms since 2010 and they are cutting armed forces numbers year after year.